Representatives of Melitopol City Council are visiting Lviv at invitation of the Center for Civil Initiatives (CeHrIn). Today they visit our office to discuss drawing investments and the role of NGOs in this process. According to the visitors, Melitopol’s feature is a large number of once powerful industrial enterprises, which now begin to decline. Free lands are practically absent in the city and possibilities of expansion through neighboring settlements are also limited. In fact the city can offer investors only sites with empty production facilities of brownfield type. At he same time this is also problematic as far as they are fragmented on the territories of different enterprises and often it is difficult to determine the form of property. The other significant problem that appeared in recent years is closeness to the combat zone. In such a way the city which industry before was focused on Russia, now is in geographical impasse: the sea is to the south and a zone of military conflict is to the east. The leader of CeHrIn Vitaliy Zahaynyy mentioned that a similar situation was in Lviv in 90 years. The city was also full of big industrial enterprises which gradually collapsed after USSR collapse. But we managed to survive this period and now small and medium business are the basis of city’s economy. Oleh Protsak, Deputy Director of the Institute for Policy Studies shared with the guests the experience of implementation the project “The school of drawing investments for public administration units of Western Ukraine”. Despite small towns with little industrial potential (in opposite to Melitopol) participated in that project, some useful conclusions can be taken into consideration. In particular, a city must have an institution responsible for work with investors. It can be a relevant unit or official of local administration as well as an Agency of regional development. A city must take care about the general plan which clearly regulates the issues of the ownership and appointment of territorial areas. To be heard about it is necessary to visit different specialized events, in Internet, to draw international donor projects, plenty of which are now in Ukraine, to the city. “The school of drawing investments for public administration units of Western Ukraine” Project gave participating towns such a possibility by publishing investment booklets for each town and by development of investment portal for the Western region of Ukraine. 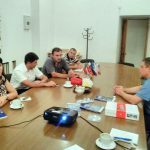 The guests from Melitopol reasonably noted that preparation of investment proposals need significant own resources. In particular it is necessary to improve infrastructure and communications. The guests were interested how these problems are solved in Lviv oblast. The expert of the Institute Andriy Dutkevych told about the regional competition of micro projects, under with more then 700 projects of local communities in total amount of over 50 million UAH were supported from oblast budget. Some projects included development of construction documents including industrial parks. Others were aimed at improvement of life quality that is also a substantial indicator of investment attractiveness of the area. The other important source of funds for improvement of investment attractiveness of the area – projects of international technical assistance. For previous two years Lviv oblast has drawn over 35 mln. EUR under such projects. The majority of these projects were of infrastructure character. the regional authorities from their side helped local administrations to assure own contribution by allocating resources from the oblast budget. 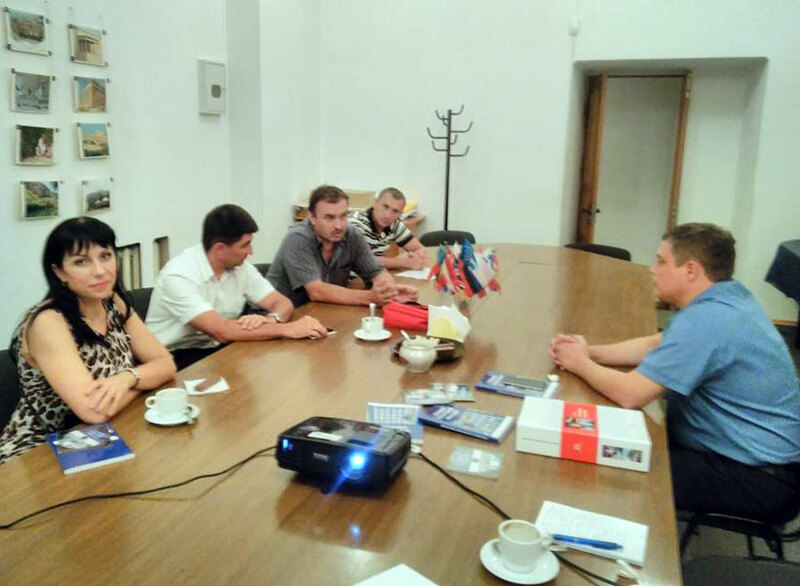 The discussion participants agreed that Melitopol can attract investors by presence of large number of skilled workers, firstly – working professionals and technical specialists. According to researches of the European Business Association foreign investors in Ukraine need just such specialist. So it is necessary to pay attention to activity of vocational education institutions. As Polish experience shows it is worth to pay more attention to domestic investors. Just thanks to that Poland managed to successfully survive the financial crisis of 2008. In whole, communication lasted for more then two hours but many issues remained for discussion. We hope Melitopol guests will manage to find answers at other meetings, in particular in Lviv City Council. For future we agreed to seek opportunities for closer cooperation between our cities.